Interested to see how the colors look on the nails, CLICK HERE for the swatches! 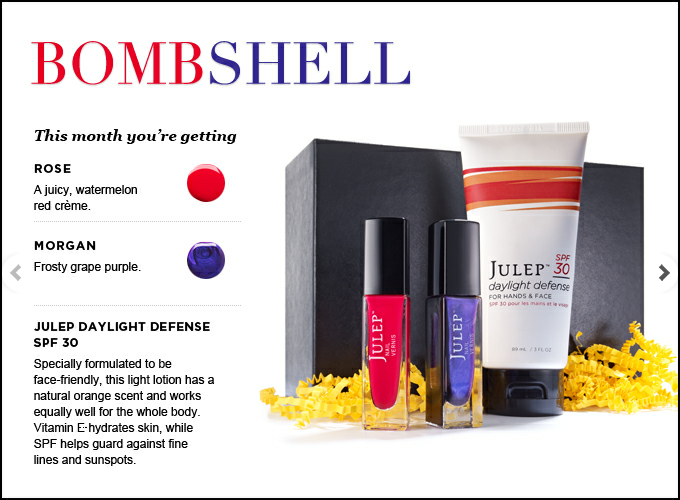 I guess Julep's monthly add-on is here to stay because for $4.99 you can add another polish and for $9.99 you can add the Daylight Defense SPF 30. I am so tempted to add Claire or Sasha, but I'm kind of on a polish spending halt. 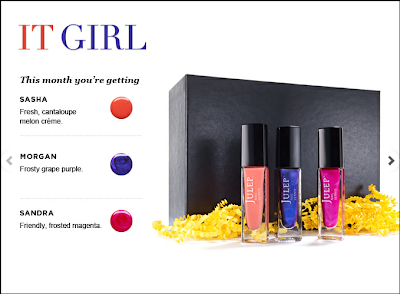 I really want to like It Girl, but I'm not a huge fan of the colors. I also want to avoid boxes that have pinks and purples just because when I look at my collection of polishes, pinks and purples make up a large portion! 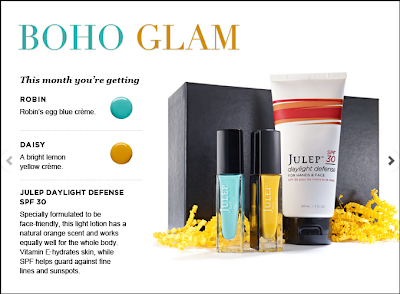 I'm going to try Boho Glam this month, just because I've been wanting a Robin's egg blue or a color close to a Tiffany's blue. I also don't have many yellow polishes, so Daisy would make a great addition to my collection. I am also in love with Courtney, the beautiful key lime green creme. I convinced my mom to switch to American Beauty, so that I can get Courtney and let her keep Lily. Anyways, which box are you interested in getting? This would be such an amazing month to get a Golden Box! Oh, it's so hard to pick this month. I'm in the same boat as you, lots of pink and purple and don't really need any more. Tough decision. Thanks so much for stopping by my blog and subscribing! 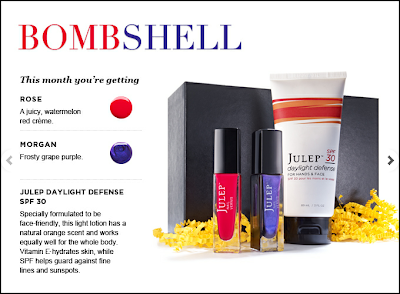 I love all of those colors for this month!! I hope you win the golden box! Wow such bright vibrant summery colours this month! I'm going for Boho Glam for the exact same reasons haha! You just reminded me that I need to go into my account and select my box! I can't decide if I want It girl or classics with a twist! Stopping by from the blog hop, would you like to follow each other? I am getting the classic with a twist this month :) loving all the bright colours this month though! Awesome colors! I love the brightness for summertime!